The war on cash is nothing new. It has been going on in various ways since the late 1960s. That’s when the U.S. banished the $500 bill and left Americans with the $100 bill as the largest-denomination note. Since then, the dollar has lost 80% of its purchasing power, so a $100 bill in 2017 has only the purchasing power of a $20 bill in 1968. Give it enough time and the $100 bill will be worth only $5, even with today’s purchasing power. At that point, paper money won’t matter, because it won’t be worth much. Still, governments around the world are not content just to let the paper money value evaporate. They’re taking active measures. 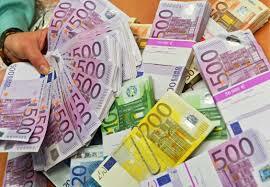 The ECB eliminated the 500 euro note last year. India declared that its large-denomination bills (then worth about $8 or $15) were illegal and forced holders to deposit them in banks. Australia is debating elimination of their own $100 note. About two years ago, I predicted that the war on cash would lead eventually to a war on gold. If cash were made illegal or difficult to obtain and handle, savers would turn to gold as a safe alternative. In order to make a ban on cash work, governments would have to ban or regulate gold also. If the endgame is to force savers into digital accounts subject to negative interest rates, confiscation and freezes, it would be necessary to eliminate gold as an alternative to cash. I encouraged savers to allocate 10% of their investible assets to gold while they still could. I expected this war on gold to evolve over three or four years. But click here now – you’ll see proof that it’s happening already. Europe is now treating gold as the equivalent of cash for purposes of declaration, regulation and possible confiscation. I may have been wrong about the timing but my advice still stands with even more urgency. Get some physical gold while you still can.